We can help. We provide innovative and evidence-based food education programs and resources for educators, caregivers, families and health professionals. Put simply, we help people to relax around food. We use rainbows of real food and joyful sensory exploration to spark connections, inspire inquiry and foster food literacy. We make healthy eating simple and fun. Janet Nezon is a highly experienced and charismatic speaker. She has a deep knowledge of both the evidence behind and the practicalities around supporting kids in developing lifelong healthy eating habits. We provide simple strategies; practical tips and tools to inspire and enable adults to create healthy food environments for children in their care. We help adults to feel confident fostering food literacy and dealing with common food and feeding issues and challenges. Does your organization need support with food? We dig any opportunity to collaborate and share our approach with other like-minded people. Get in touch and we'll roll up our sleeves to help you figure it out. Check out our videos on the Rainbow Plate Youtube Channel. We don't tell them it's good for them. Meet people where they are at: We all have our own reality and comfort zone when it comes to food and eating, and that’s the best place to start. We're here for you, offering you a nudge or a little dose of inspiration. Expose and explore, don’t preach: Repeated exposure and sensory exploration are the most effective strategies for engaging kids and changing their behaviour around food. Preaching rules and nutrition facts is boring and doesn’t work. Getting kids up close and hands-on with real food sparks interest and enthusiasm for developing their own healthy habits. Step away from the microscope: We eat food, not nutrients. All the experts agree that a dietary pattern based on whole foods is the best for nourishing a healthy body. Helping kids to embrace and enjoy real food instead of processed food products is the key to a healthier future. Kids need to learn where food comes from, and how to cook and enjoy it in the company of friends and family. Relax and kids will too: If adults chill out around food then kids will too. Adults are the most important influence on a child‘s eating behavior. Eating in a relaxed and positive environment allows a child’s healthy relationship with food to flourish. Tell me the colours that you ate: Rainbows are simple, healthy and powerful. Adding a variety of colourful vegetables and fruit to everything you eat is the simplest way to fuel your body well and make any plate of food more appealing. Food connects everything: What and how we eat is woven into every element of the world around us. For maximum impact, food education should reflect and address the health, family, community, geographic, cultural, environmental, and economic context in which we eat and live. Why do we need food education? For the first time in recorded history, this generation of children is projected to have a shorter lifespan than their parents. That's scary. The story of how we got here is complex, but one thing that's clear is that our relationship with food has a major impact on our health and well being. Statistics Canada reported in 2012 that 31% of Canadian children were overweight or obese. The subsequent health risks and healthcare costs arising from poor eating habits during childhood and adolescence underscore the need to counteract the problem with nutrition education. 7 out of 10 children in Canada eat fewer than 5 servings of fruits and vegetables a day. Children's eating habits form during preschool years, where there is little food education or support for the adults caring for them. Life skills like reading and writing are musts. Today, the experts also agree that teaching our children how to eat well is just as vital for creating a healthy future. Inviting kids to get hands-on, exploring fresh, real food in a relaxed and positive setting has been proven to increase the likelihood that they will eat these foods in the future. We believe that this is the best way to promote lifelong healthy eating habits! Since launching in 2012, Rainbow Plate has been focused on food literacy education in a wide variety of settings. Our sensory-based food education programs have reached thousands of children and adults in schools, camps, child care, health care and community settings. Increase the amount of fruits and vegetables that children actually eat! to cook it and how it affects their bodies. Rainbows of real food are magic! We recently completed a quantitative research project with Ryerson University, which measured the impact of our program on children's behaviour. 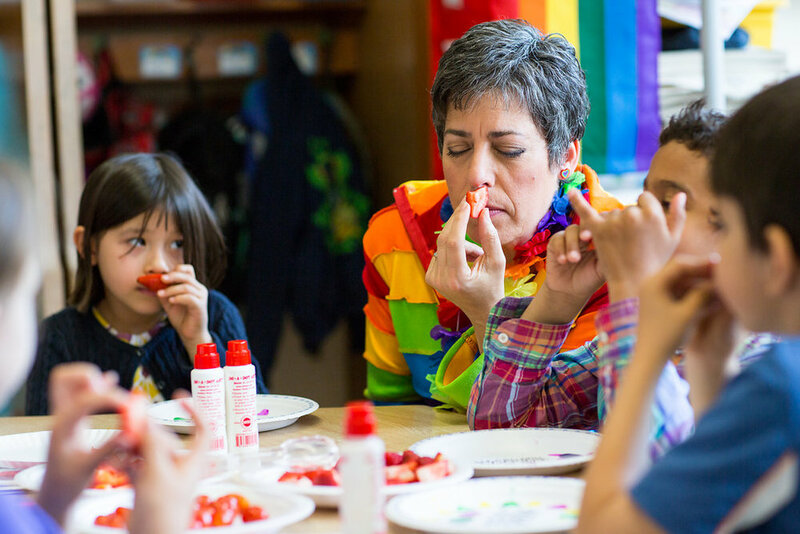 The study showed a clear & statistically significant impact: after participating in Rainbow Plate workshops, kids ate more fruits and vegetables, and were more willing to try new foods! The study has been submitted for publication - check back here for updates! Since launching in 2012, Rainbow Plate has worked with over 15,000 kids, parents, educators and health practitioners to achieve the following feats! 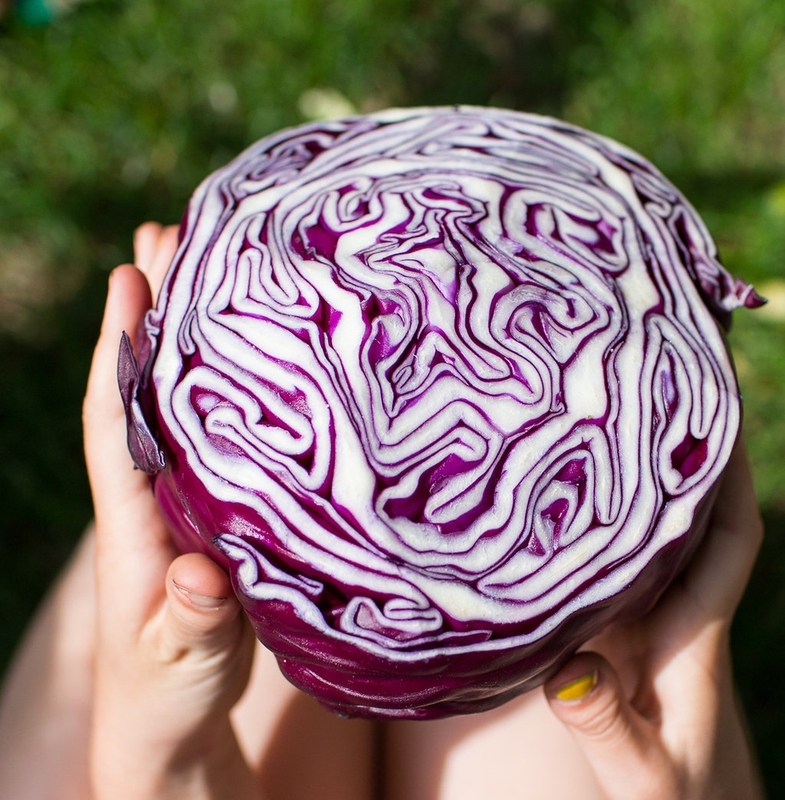 More than 6000 lbs of red cabbage (not an easy vegetable to get kids to eat) have been marveled at and munched on. We have delivered hundreds of hands-on workshops in schools, camps, child care and community organizations in the GTA.